Twelve new LXI-based digitizerNETBOX data acquisition instruments are designed specifically for situations where multiple signals need to be acquired, stored and analyzed. Users can select from models that provide 24, 32, 40 or even 48 fully synchronized channels. The new DN6.59x series digitizers are all based on the latest high-resolution 16-bit ADC technology and come with a choice of maximum sampling rates (20, 40 and 125 MS/sec) and bandwidths (10, 20 and 60 MHz) to best match applications found in a wide variety of industries. Each channel of a digitizerNETBOX has its own ADC and signal conditioning circuitry. ADCs all share a common clock so acquisitions made on all channels are fully synchronous and have zero phase error. The design of the clocking system ensures that cross-channel timing measurements are made with the highest possible precision while the independent signal conditioning enables the units to be used with signals that have a wide range of amplitudes. Each channel has its own programmable input amplifier, with ranges between ±200 mV and ±10 V, input offset for unipolar measurements, termination of 50&ohm; and 1 M&ohm; and an integrated calibration circuit. The inputs also feature single-ended and true differential channel modes. 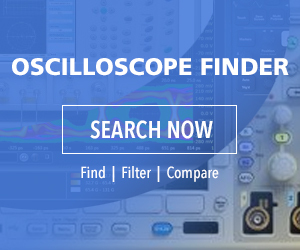 The signal conditioning circuitry is further complemented by high-resolution 16-bit ADCs which offer signal-to-noise ratio (SNR) up to 81 dB, spurious free dynamic range (SFDR) up to 103 dB and total harmonic distortion (THD) as low as -86 dB. Controlling and accessing the data collected by the digitizerNETBOX is done by simply connecting it with GBit Ethernet to a host computer. The platform is fully LXI compliant (following Core 2011 Specifications) and offers an IVI compatible interface for the IVI Scope and IVI Digitizer classes. Users can write their own control program using almost any popular language including C++, LabVIEW, MATLAB, VB.NET, C#, J#, Delphi, Java and Python code. Alternatively, users can simply run Spectrum’s own software, SBench 6 Professional. The units come with a variety of signal triggering techniques, large onboard memories and a number of intelligent acquisition modes. All the channel inputs, as well as the external trigger inputs, can be used as a valid trigger source. These can even be combined with logical AND/OR functionality to allow pattern specific triggering. Acquisitions can be made in single-shot mode (for transient recording) or in other modes such as multiple recording, gated sampling or ABA (the combination of fast and slow continuous acquisitions) that allow the most efficient use of the onboard memory. All digitizerNETBOX units are shipped factory tested and include SBench 6 Professional software, the complete SDK for Windows and Linux, and a full 5-year warranty.